Officers and members of the Arkansas Alpha chapter of Tau Beta Pi received three national awards at the Tau Beta Pi National Convention in October. 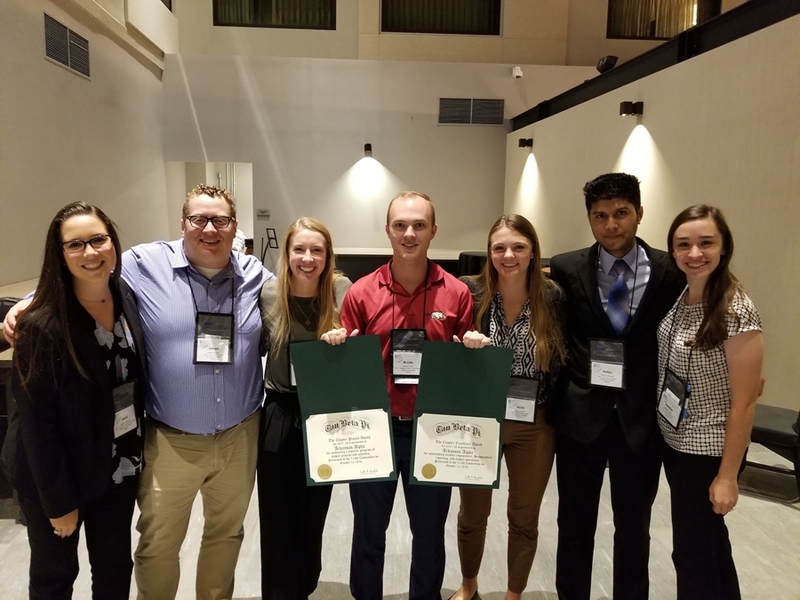 The Arkansas Alpha chapter of Tau Beta Pi were awarded three national awards when they traveled to the Tau Beta Pi National Convention in mid-October. The awards include the Chapter Excellence Award, the Chapter Project Award, and Honorable Mention for the R.H. Nagel Most Improved Chapter Award. The hard work of the chapter's officer team and the dedication of the members aided Arkansas Alpha in receiving these awards. Tau Beta Pi is the only engineering honor society representing the entire engineering profession. It is the nation's second-oldest honor society, founded at Lehigh University in 1885 to mark in a fitting manner those who have conferred honor upon their alma mater by distinguished scholarship and exemplary character as students in engineering, or by their attainments as alumni in the field of engineering, and to foster a spirit of liberal culture in engineering colleges.